California Steel Services provides hot rolled steel leveling and produces steel plates and sheets that stay flat after laser, plasma, or other thermal cutting or stamping operations. The company has become one of the largest West Coast leveling services providers and a major supplier of prime hot rolled steel sheets and plates for construction, aerospace, and engineering projects in the region. We level coils up to 100,000 pounds, ranging from 20 guage to 1” thick, up to 96” wide and 600” long. The high-volume purchasing power allows us to get the best prices for steel coils on the market and we transfer that lower cost advantage to our customers for their own competitive edge in their projects. Do you supply sheet metal products to states other than California? Yes, we supply our products to the states of California, Oregon, Washington and Nevada. Hot rolling is a metalworking process that occurs above the recrystallization temperature (typically over 1700° F) of the material. The products are usually fed directly into the rolling mills at the proper temperature. As the material is worked, the temperature must be monitored to make sure that it remains above the recrystallization temperature. Cold rolling is a process that occurs with the metal below its recrystallization temperature (usually at room temperature). Commonly cold-rolled products include sheets, strips, bars, and rods; these products are usually smaller than their hot-rolled counterparts. Is there a price difference between hot rolled steel versus cold rolled steel products? Hot rolled products are less expensive than cold-rolled ones. 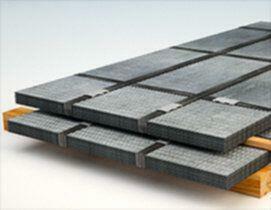 How is plate steel different from sheet steel? 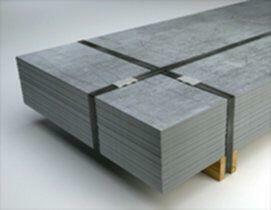 A sheet or plate steel is steel in the form of thin, flat pieces that is produced using an industrial process. It is one of the fundamental forms of steel used in metalworking, and it can be cut and bent into a variety of shapes. The thickness can vary considerably, with the foil or leaf forms being extremely thin and the plate form being thicker than 6 mm (0.25 inches). Sheet metal is available in the form of flat pieces or coiled strips. The coils are formed by running a continuous sheet of metal through a roll slitter. The thickness of sheet metal is commonly specified by a traditional, non-linear measure known as its gauge. The larger the gauge, the thinner is the metal. 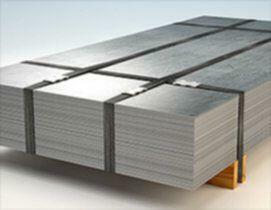 Commonly used steel sheet metal ranges in thickness from 30 gauge to 7 gauge.